Christian shirt. 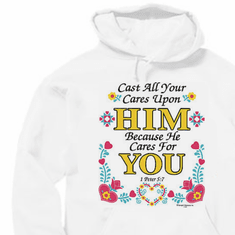 Cast cares on him He Cares for you. Home/Our HoneVille.com Store/Christian Designs /Christian shirt. Cast cares on him He Cares for you. 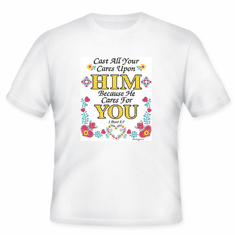 Christian T-shirt. 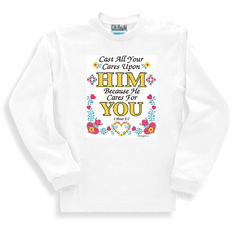 Cast cares on him He Cares for you. Christian pullover hoodie sweatshirt. 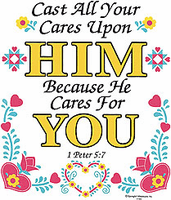 Cast cares on him He Cares for you.